A flurry of correspondence last night between Prime Minister Dr Keith Rowley and President Anthony Carmona, averted what could have been a major constitutional problem. 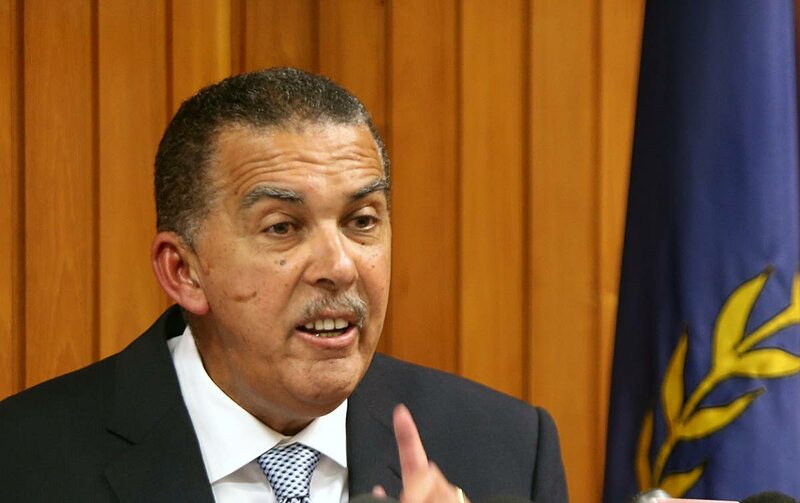 Carmona had sent a letter to Rowley which gave the impression that he wanted to consult him about removing Elections and Boundaries Commission (EBC) chairman Mark Ramkerrysingh before the expiration of his term of office. An error in the third paragraph of Carmona’s letter suggested that he wanted to consult Rowley about appointing Dr Noel Kallicharan as chairman. An official at the Office of the President last night admitted to the error. He said the intention was to ask Rowley about re-appointing Kallicharan as a member and not chairman. The official said a new letter would be sent to Rowley indicating such. The official said Carmona has no issue with Ramkerrysingh. Carmona will demit office on March 19. Retired judge Paula Mae Weekes will succeed him as this country’s sixth President. According to the Constitution, a member of the EBC shall not vacate before the expiration of his five-year term unless there are circumstances which would cause him to be disqualified. Reply to "Carmona’s EBC letter error"